Deer antler velvet is a natural substance covering the bone and the cartilage of the deer antlers. Over the past years, it has gained popularity as a potent male enhancement substance. Is this really so and how does deer antler velvet work? The velvet covers the antlers of grown deer, caribou, elk and moose. It’s important to keep in mind that the harvesting process doesn’t cause any harm to the animals. The velvet is an amazing source of numerous substances and microelements. It contains magnesium, calcium, zinc and a vast range of essential amino acids. One of the most important active components, however, is known as prostaglandings. Chinese healers have been using deer antler velvet for more than 2,000 years. Joint inflammation and infertility are just two of the conditions that traditional Chinese medicine uses deer antler velvet for. The substance stimulates the immune response, slows down aging, speeds up the healing of wounds and improves libido in both men and women. Apart from the numerous other beneficial components, deer antler velvet is a source of insulin-like growth factor or IGF-1. This hormone is responsible for regulating and stimulating the growth of new bodily tissues. IGF-1 helps the body repair itself after strenuous workouts and it also decreases the amount of time needed for recovery after trauma. The substance also stimulates cellular division and increases the number of new cells being produced. As a result, it can be used to speed up the accumulation of lean muscle mass and the formation of bigger muscles. The composition of deer antler velvet suggests that it can be used for a vast range of health and wellness goals. It can improve male sexual performance, enhance the results of workouts, boost the functioning of the immune system and even improve blood pressure. Is this really so and do any clinical studies confirm the benefits of deer antler velvet? One study involved men who were given 15 milligrams of deer antler velvet spray for a period of 11 weeks. At the end of the experiment, the men experienced improvement in peak torque and average power (approximately 19 percent) during exercises like leg extensions. The researchers that formulated the experiment concluded that the supplement increases power output during intense workout sessions. Another experiment involved weight lifters and was performed in the US. The experiment involved 32 volunteers who were divided in two groups. Members of the first group were given deer antler velvet supplement and members of the second group were given a placebo. After 10 weeks, the men that were given deer antler velvet experienced a four percent increase on the bench press and slightly over 10 percent increase on a squat test. 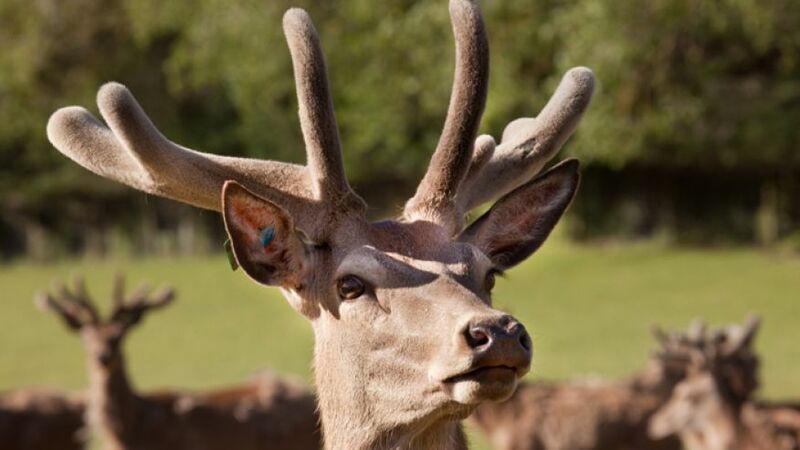 Numerous other clinical studies are currently being carried out and their results will shed more light on the manner in which deer antler velvet affects the human body. Initial research suggests that the supplement could be quite promising in terms of male enhancement and improving overall health. Deer Antler Plus: Bigger Muscles, Stronger Body? Ayurveda And Male Enhancement: What Substances Did Indian Healers Use?